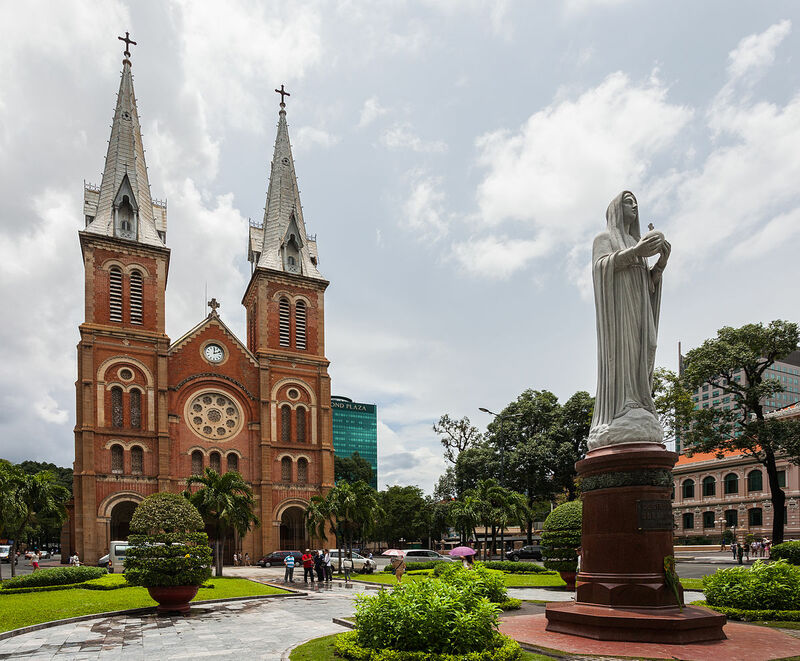 Notre-Dame Cathedral Basilica of Saigon , officially Cathedral Basilica of Our Lady of The Immaculate Conception is a cathedral located in the downtown of Ho Chi Minh City, Vietnam. Established by French colonists who initially named it Cathédrale Notre-Dame de Saïgon, the cathedral was constructed between 1863 and 1880. 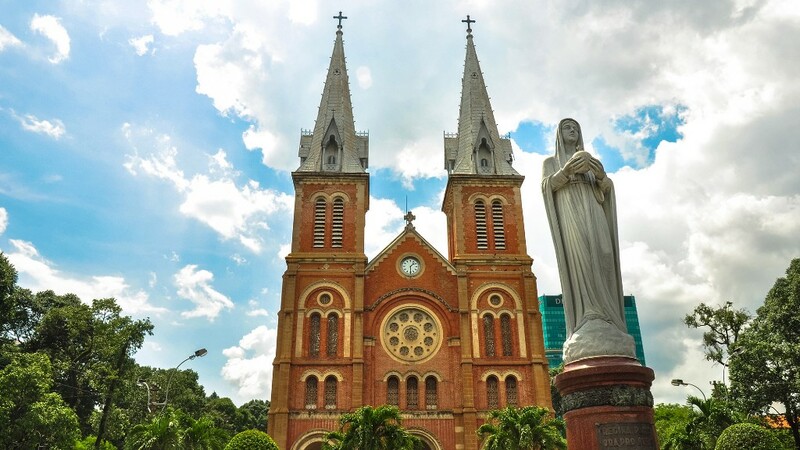 It has two bell towers, reaching a height of 58 meters (190 feet).